I have recently begun art & craft volunteering at SWARA. 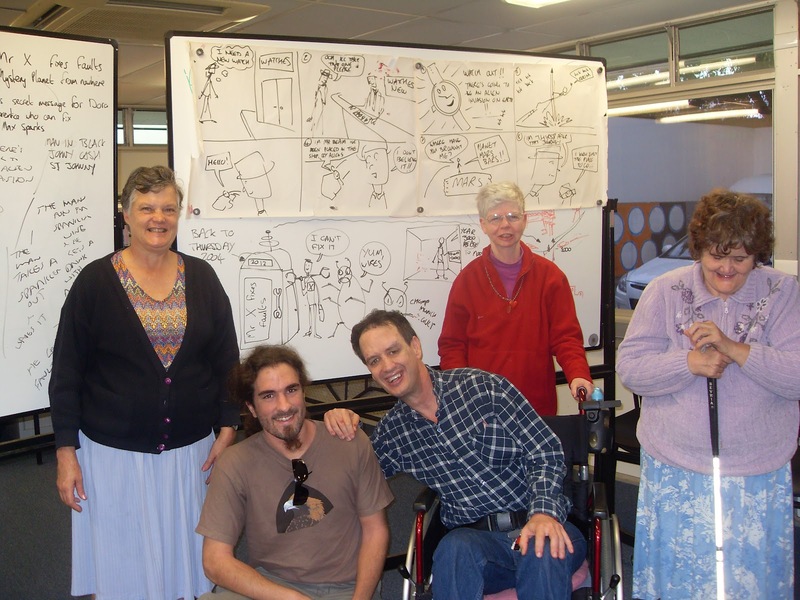 SWARA, Sunshine Welfare & Remedial Association is a multi-diagnostic disability centre in Brisbane. Clients here can undertake a range of exciting crafts from baking, iron work, pottery and singing and dancing to name a few. When I started there was already some work begun on a piece of creative writing called ‘Fawlty Wires’ being a sci-fi story with a hint of comedy taking on Fawlty Towers!! 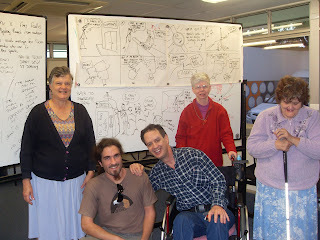 There have been some great ideas and story lines created by the clients that I am now helping to develop and arrange into a cartoon comic strip. As you can see from the picture the sequential story has begun…!! This is an exciting venture and can’t wait to get scene 2 drafted tomorrow..! !